1. 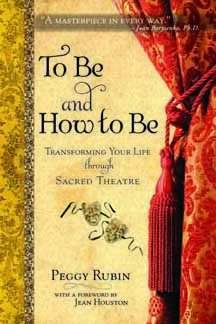 Before we launch into discussing the details of your book “To Be and How to Be: Transforming Your Life through Sacred Theatre”, can you first explain to my readers the origins of sacred theatre? The theatre began as an act to honor and celebrate the ancient gods. For the most part we practitioners of the theatre have forgotten; I know I had. But when my mentor, teacher and friend Jean Houston signed me up to do a presentation on Sacred Theatre at a conference in The Netherlands on Sacred Matter, I remembered the theatre’s original purpose — to celebrate the gods and to celebrate life. 2. How did that original idea of sacred theatre transform into the work you’re doing now? For that original conference, I considered nine aspects of traditional theatre, and saw how they could be utilized and addressed to reframe human life in terms of a play, or a work of performance art in progress. 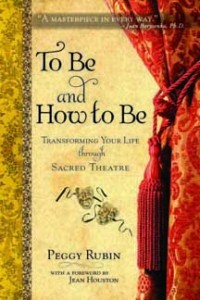 Those aspects became the nine Powers of Sacred Theatre, and I began to look at individual life in terms of those powers, and began to recognize that as individuals embraced and engaged these powers, they seemed to appreciate their lives more deeply and increase their awareness of creativity and joy, as well as more practical things such as increasing presentation and speaking skills. 3. Could you outline for my readers the way their lives mirror theatre? Perhaps it is more accurate to say that the theatre mirrors their lives, though since I am so focused on theatre and love it so deeply, one of my friends is fond of saying that for me, rather than theatre providing a metaphor for life, life provides a metaphor for theatre. People enact their lives as stories; they play many different characters in their own lives as well as in the lives of others; they perform on a stage (of the world); they have many different kinds of audiences; they do all this through vocal and physical expression (as actors do); they confront conflict; everything is alive and happening in this precious moment of now (exactly as in the theatre). 4. Your book helps and encourages us to view our lives from the perspective of a theatrical performance of sorts. Are you familiar with the film “Stranger than Fiction”? Could we use the example of Dustin Hoffman’s character Professor Jules Hilbert encouraging Will Ferrell’s character Harold Crick to figure out what kind of story he’s living in as being similar to the ideas expressed in your book? I’m so sorry, I don’t know the film. And I will be looking for it and seeing it as soon as possible. 5. Can you tell my readers about The Center for Sacred Theatre and the work you do there? This is where I offer workshops in the Powers of Sacred Theatre, for people who want to look at their lives from this context, and who feel a desire to experience their lives as holy. 6. Although not related to your book “To Be and How to Be”, I think many of my readers would love to hear about your “Book of the Lady Project”. Do you mind sharing some information about that with my readers? Thank you for asking about this. It’s a project dear to my heart, though it went into abeyance while I completed the book about the Powers. It began with a voice in my head during a Mass at Glenstal Abbey in Ireland; this inner voice said “It’s time to begin compiling a goddess Bible.” As I worked with what this might mean, further inner instructions came, acknowledging that it must never be part of a religion, that it must be open ended, that it must never in anyway deny or put down any form of the male divinity. But that “for our daughter’s sakes,” we needed to open our minds and creative writing and artistry skills to the feminine face of God. We have worked with this assignment during several years of Sacred Theatre workshops, focusing on nine stages of a woman’s life as a framework for defining the words, liturgies, hymns, praise songs, stories of the sacred feminine to illumine and guide each those stages. 7. Obviously I can’t have a huge Shakespeare fan here and not ask the question. What is your favorite Shakespeare play, and why? I think my all time forever favorite has to be Hamlet, though when I am studying or watching King Lear, difficult as that play is, it becomes my favorite. And I love Twelfth Night, as the most tender and most perfect comedy. 8. And again, I just can’t resist. What do you feel was the best film version of a Shakespeare play? I was fascinated with the BBC broadcasts some years ago — of all the plays. They gave me a new respect for the fierce intimacy that is possible when the camera is so near — the audience is literally in your face. I really like Kenneth Branagh’s work, especially Much Ado About Nothing. And Olivier’s Othello was a great achievement. 9. A quick glance at your web site shows you are a very busy lady. What upcoming projects should my readers keep an eye out for? More work on the Book of the Lady, with a web site that makes it possible for others to contribute their stories, poems, experiences. 10. Parting shot! Ask us here at the Buffet any one question. If you could change one thing for the better in the whole world, what would it be? I would make everyone watch the movie “Stranger than Fiction”! Thanks to you Peggy, I am now one person closer to my goal! Thank you for these amazing and thought-provoking questions, and for the care and attentiveness you show the book. Peggy (Margaret) Rubin is Founding Director of the Center for Sacred Theatre in Ashland, Oregon. Primary activities of the Center include the creation of workshops in Living Life as Sacred Theatre, most often within the context of studies of the Divine Feminine. Peggy has led Sacred Theatre workshops in many locations in the United States, as well as Australia, New Zealand and The Netherlands. Peggy is also the principal teaching associate of Jean Houston, Ph.D., in Dr. Houston’s worldwide multicultural transformational work and in her schools of spiritual studies. For the past eight years, she has also been a member of the core faculty of the School for Social Artistry, an intensive leadership training program. Working with Jean Houston, Peggy Rubin has presented classes, workshops and trainings throughout the United States, and in Australia, New Zealand, England, Ireland, Sweden, Greece, Egypt, The Netherlands, India, West Africa, Indonesia, Hong Kong, Taiwan, Jamaica, and on behalf of the United Nations Development Programme, in Albania, St. Lucia, Barbados, The Philippines, Kenya, and most recently the Republic of Maldives. 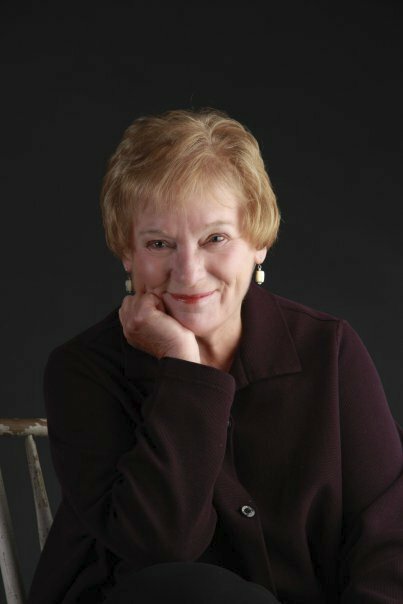 Before joining Dr. Houston’s staff in 1987, Peggy was for 14 years the Public Information and Education Director for the Oregon Shakespeare Festival, one of the largest classical repertory companies in the United States. Before that she was a bank executive for First Western Bank in Los Angeles. She has also been a teacher of English, a freelance writer and editor, an actor and director. She holds a degree in Fine Arts from the University of Texas, and has taken courses, primarily in Economics, at the University of California at Los Angeles, and in Environmental Studies at Southern Oregon University. She has studied extensively with Elaine De Beauport, Ph.D., founder of the Mead Institute, leading teacher of humanistic and behavioral applications of current brain/mind research; and with William Emerson, Ph.D., pioneer in the field of pre and peri-natal psychology, and its importance in understanding human development.